Most of our residential clients at Christmas Lighting Tulsa tend to be repeat customers who use our services on a yearly basis. This past year, we had a lot of new clients in Jenks who were unfamiliar with the services we provided. 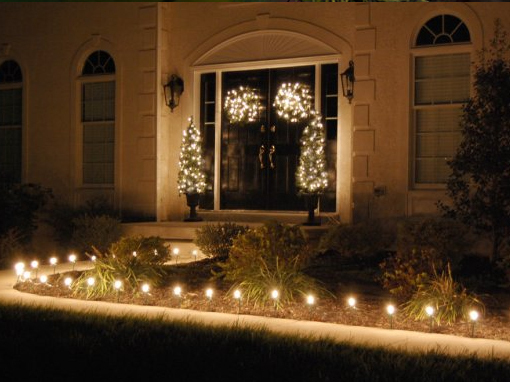 For existing customers, the process of installing Christmas lights is relatively straightforward. Typically, customers who used us last year are content with their lighting display and might make minor adjustments, if any. These minor lighting adjustments are usually color changes to C9 light bulbs on their gutter line or adding/subtracting mini-lights to bushes and trees. For new customers in Jenks, the process of designing and installing the Christmas lights requires a little more time. Typically, we recommend a meeting at the potential client’s home. This allows our installers to explain the pros and cons of incandescent vs. LED and go over color schemes and light placement. After the design meeting takes place, an estimate can be created and altered depending on the needs of the client. Finally, and what separates us from every other Christmas light installer, is we provide the customer with a visual diagram of how their lights will look. This is important to new clients because they can make alterations before our installers get on their roofs. Once the visual diagram has been presented to the customer, any changes can be made at no expense. 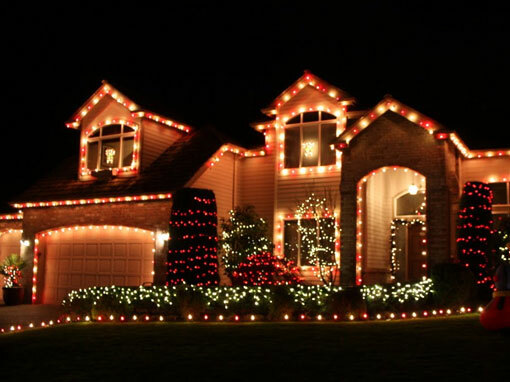 Depending on the date of the appointment, we often recommend clients drive around the Jenks area to see what some of our existing clients have done with their Christmas lights. It makes for a fun time seeing the city lit up for the season, and it can really help determine what ideas our clients would like to incorporate in their own designs. Once the design phase is complete and the new customer is satisfied, we will arrange an installation date based on the customer’s needs. Since we have an installation team that exclusively serves the Jenks area, we can accommodate most clients’ scheduling needs. Serving the Jenks, Tulsa, Broken Arrow, Owasso and Bixby Oklahoma areas.